How long have you studied at the Mechai Patana School for? – Kong has been at the MPS for fives years and remembers Goldfish PLC, a Regent’s School business and social enterprise group that visited the school a few years back. – Pom has been at the school for two years. They are both in Grade 11. Why did you come to MPS? Pom – My mother told me about the school and when I came to visit I liked the natural feel to the school and how the students were learning. Kong – I liked the school environment and the fact that the school focused on project based learning and gave the students many different experiences to learn from. What is your favourite thing about MPS? Kong – opportunities, e.g. 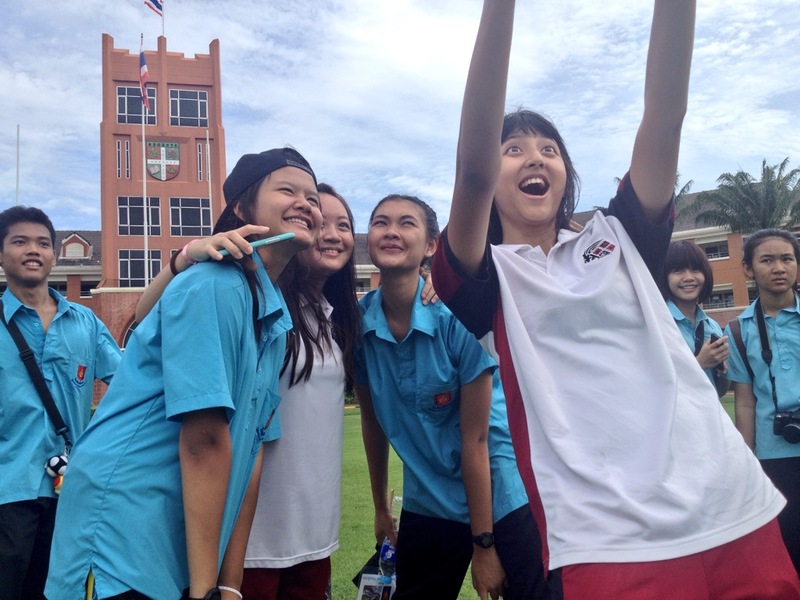 the one term exchange with Regents School in Pattaya. Pom – Learning to play the ukulele and having a ukulele band at the school, I like to learn about music and love playing it. What do you want to study at university and what career would you like to follow in the future? 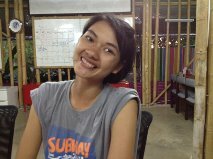 Pom – I would like to study languages and work as a guide, possibly have my own business for travellers. Kong – I would like to be a linguist and have my own translation business. How does the MPS help the students become global citizens? Pom – The school focuses a lot on business and social enterprise and we learn how to give back to our communities. We are also expected to be tour guides to visitors who come to the school and to think outside the box. 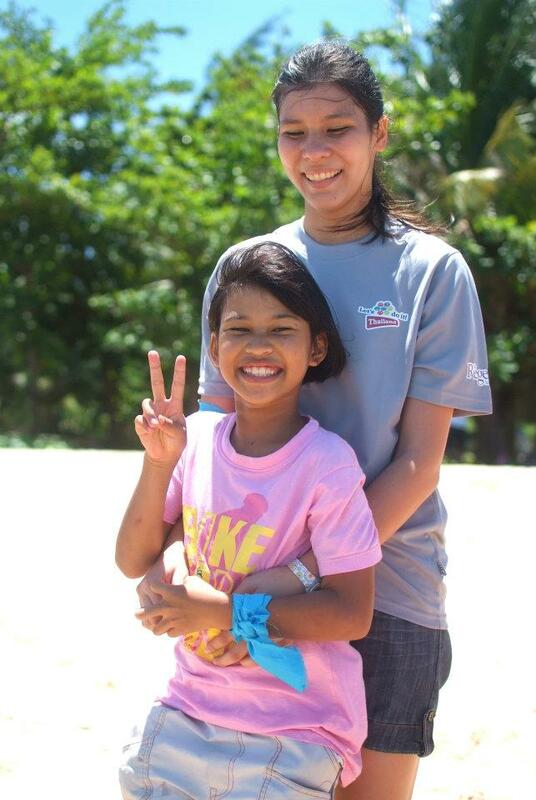 Kong – The school has taught me to be sharing and caring. 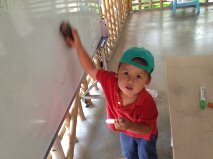 A future MPS student and global citizen? If you were a teacher what would you say is the most important thing about teaching young people? Pom – It is important to teach young people how to help themselves and how to help others. Most teachers in Thailand only teach about the subject. At MPS we learn how to help ourselves and especially how to help others. Kong – To teach the young people how to be a good person and how to share with each other and to care for each other. Khop khun krup Pom and Kong. 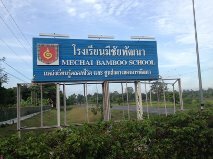 The first thing that strikes you when arriving at the Mechai Bamboo School is the setting; a lush campus full of greenery, bridges over waterways, bamboo buildings and lines of mango trees. On entering the front of the school you are immediately welcomed by the Friendship Bridge – a large bamboo and concrete walkway that transcends a large pool and takes you into the heart of the school. My youngest, who loves bridges and is therefore in his element, bounced across the bridge and shouted “rabbits!” being the first to spot the little island of rabbits from the middle of the bridge. 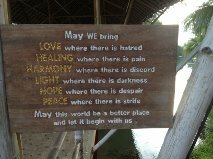 There are so many things to find and discover around this school (Khun Mechai likes his thought provoking messages for example) that it is an important reminder of being mindful and taking in your environment at all times. The Bamboo School is truly a centre for lifelong learning and a hub for community development and education; you can see and feel it everywhere you walk – what an environment to learn in everyday. It was a pleasure to see the Mechai Patana students again, especially those that I have had the pleasure to meet and work with over the last three years. 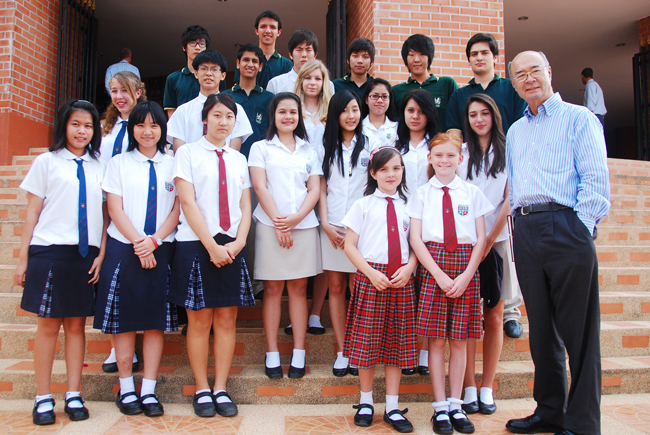 The students are always polite and pleased to see you and they quickly welcomed us to their school and home. New and Pom showed us to our rooms for the next 3 days and it was great to catch up with them both and find out how their studies are going. 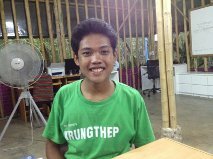 New is hoping to go to Khon Koen University at the end of next year and study to be a linguist. Her English is definitely a lot better than my Thai! It was also great to see Kong again and to be introduced by him at dinner time to all the students at the school. Something that struck us was the fact that the teachers were not really present, I don’t mean that they had done a runner as I am sure they are very busy, but it was suddenly very apparent that the senior students were being very attentive to us and making sure everything happened smoothly. They organised dinner and evening prayers and then New addressed all 130 students regarding a discipline matter, apparently about listening to music only in their dorms. Although I did not really understand what she was saying it was obvious that she had the full attention of every student and that she was to be taken very seriously. When she had finished speaking there was a spontaneous round of applause from the rest of the students. I said to my own kids as we walked back to our room after the evening assembly if they had noticed who was looking after us and leading all the activities… I was glad that they responded, “the students.” I also pointed out that we had not seen one student on an iPhone or mobile device since we had been at the school, which was also impressive and a powerful message. I like the fact that every student was connected in the moment and not disconnected due to an appliance which you see all the time today – at restaurants, on public transport, in meetings, in the cinema, at school, etc. I am even more determined that we make the most of our time visiting this unique learning environment and connect as much as possible with our hosts, the community and the opportunities that present themselves to us. Today, though, he is still working hard for the rural disadvantaged and believes education is the key factor to bringing better opportunities and equality to rural communities and the people. The Bamboo School is a unique and holistic approach to education within a typically rote learning based Thai education system. His model gives young rural people the chance to learn life skills and the confidence to use them to be successful in life – not just for themselves but also for their families and their communities, ultimately preventing the educated from migrating to the urban centres such as Bangkok. The Mechai Patana students engage in service learning, work experience, social enterprise initiatives, the interviewing and recruitment of their teachers, financial responsibility, creativity, sustainable thinking and action, etc. 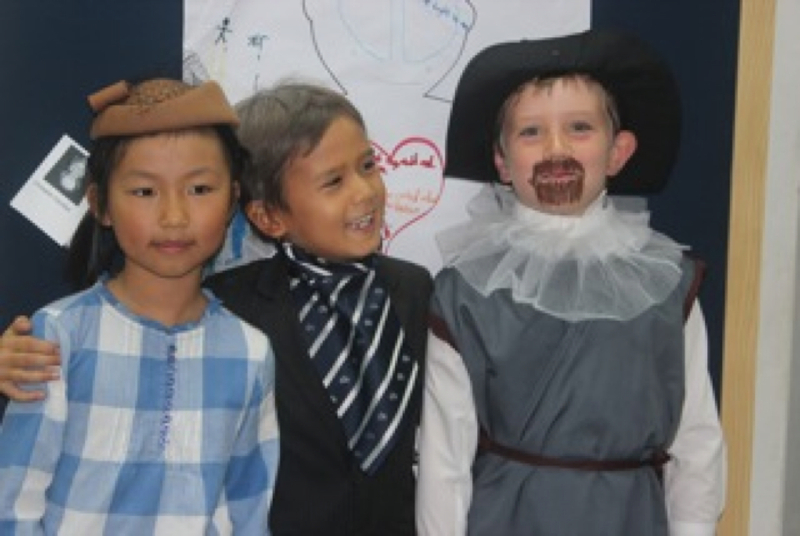 They really are amazing global citizens who are independent learners and succeeding academically. Khun Mechai has recently formed a partnership with a prestigious Thai university that has recognised that the MPS students are equipped with the learning skills and values to be successful in tertiary education and beyond and has agreed to offer places to every student that graduates from the Bamboo School. Khun Mechai spoke at the We Walk Together conference in October 2010 and is an inspiring speaker for young people and educators. 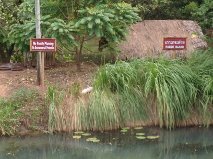 I strongly recommend that you visit the Bamboo School in Buriram or in Jomtien (south of Pattaya), even better invite Khun Mechai into your school or workplace – you will not be disappointed. *Khun Mechai Viravaidya is the Founder and current Chairman of the Population and Community Development Association (PDA), one of Thailand’s largest and most successful private, non-profit, development organizations. Since 1974, PDA has initiated community- based family planning services, innovative poverty reduction programs, large-scale rural development and environmental programs, as well as groundbreaking HIV/AIDS prevention activities throughout Thailand. Mechai Viravaidya had a pivotal role in Thailand’s hugely successful family planning program, which saw one of the most rapid fertility declines in the modern era. The rate of annual population growth in Thailand declined from over 3% in 1974 to 0.6% in 2005, and the average number of children per family fell from seven to under two. Mechai Viravaidya pioneered and championed many of Thailand’s social mobilization and community development efforts that are now taken for granted. Although much of his time was spent in the NGO sector, Mechai Viravaidya has also served in the Thai government as a Senator, in 1987 and again in 1997, and as a member of the cabinet during 1985-86 and 1991-92. As a Minister to the Office of the Prime Minister for Anand Panyarachun in 1991-92, Mechai Viravaidya was the chief architect in building Thailand’s comprehensive national HIV/AIDS prevention policy and program. This initiative is widely regarded as one of the most outstanding national efforts by any country in combating HIV/AIDS. By 2004, Thailand had experienced a 90% reduction in new HIV infections. In 2005, the World Bank reported that these preventative efforts helped save 7.7 million lives throughout the country and saved the government over US$18 billion in treatment costs alone. In recognition of his efforts Mechai Viravaidya was appointed the UNAIDS Ambassador in 1999. Apart from his involvement in the government and the NGO sectors, Mechai Viravaidya has business and corporate experience as member of the Board of Directors and Chairman of many major corporations. He also served as trustee on the Board of many Universities and international organizations. For his efforts in various development endeavours, Mechai Viravaidya has been accorded numerous awards and recognitions including: the United Nations Gold Peace Medal (1981), the Ramon Magsaysay Award for Public Service (1994), one of Asiaweek’s “20 Great Asians” (1995), the United Nations Population Award (1997), and one of TIME Magazine’s “Asian Heroes” (2006). More recently, Mechai Viravaidya has been awarded the Nikkei Asia Prize for Regional Growth (2007). Again, PDA and Mechai Viravaidya were the recipients of the Gates Award for Global Health in 2007, and are one of the Skoll Awardees for Social Entrepreneurship in 2008, both of which are awarded with a cash gift of one million US dollars.